Schneiders Country Naturals Bologna Will Make Them #LoveLunch & CONTEST! My Little Guy Loves Bologna Sandwiches! Did you know that there are 195 school days in the 2013/2014 calendar year? With 4 kids in school, I just did the math and that's 780 separate lunches that I have to make this year alone! Next year with 5 kids in school, I'll have 975 school lunches to pack! Unbelievable, don't you think? Often my husband and I wrack our brains trying to think of what to make for our kids, each of whom wants a completely different lunch than his or her siblings! More often than not, the common denominator that they will eat is a Schneiders Country Naturals Bologna sandwich! 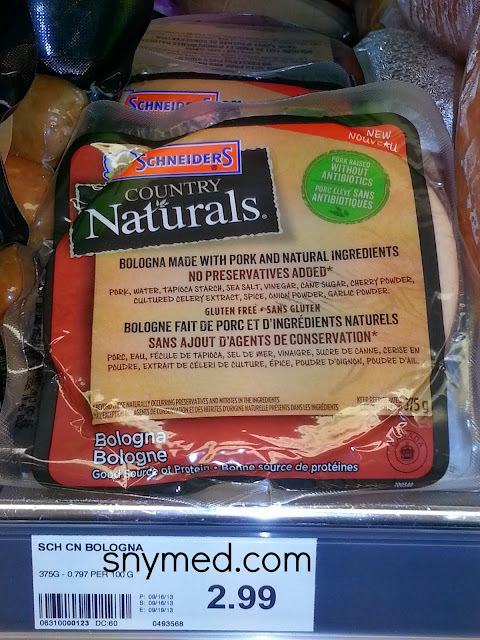 Have you tried Schneiders Country Naturals Bologna? It's made from pure pork with quality cuts of meat raised without antibiotics, no artificial ingredients, added preservatives, fillers or by-products. Of special interest, Schneiders Country Naturals Bologna is Gluten-Free! I've started stocking gluten-free products in our home, as one of my child's friends has Celiac Disease and I absolutely want to include him in family meals. My strategy for feeding my kids and keeping them healthy, is to offer all types of foods in moderation, and to offer fruits and veggies in abundance. My ideology goes hand-in-hand with an active lifestyle and some structured kid's sports. The children learn well by example, so I practise what I preach and eat well and get plenty of exercise. Let's face it: some days only a bologna sandwich will cut it! On days like those, I'm glad to reach Schneiders Country Naturals Bologna! WIN 1 of 2 prizes of Schneiders Free Product Coupons, worth $20 each! Contest open to Canada, and ends Wednesday November 6th, 2013. Leave a COMMENT below stating if you or your child enjoy bologna sandwiches OR if you have ever tried Schneiders products. Then, use the entry form below to enter the contest. GOOD LUCK! I have tried, and enjoy, several Schneiders products. I especially appreciate the Country Naturals just because I believe they are a bit healthier, and they taste just as good. 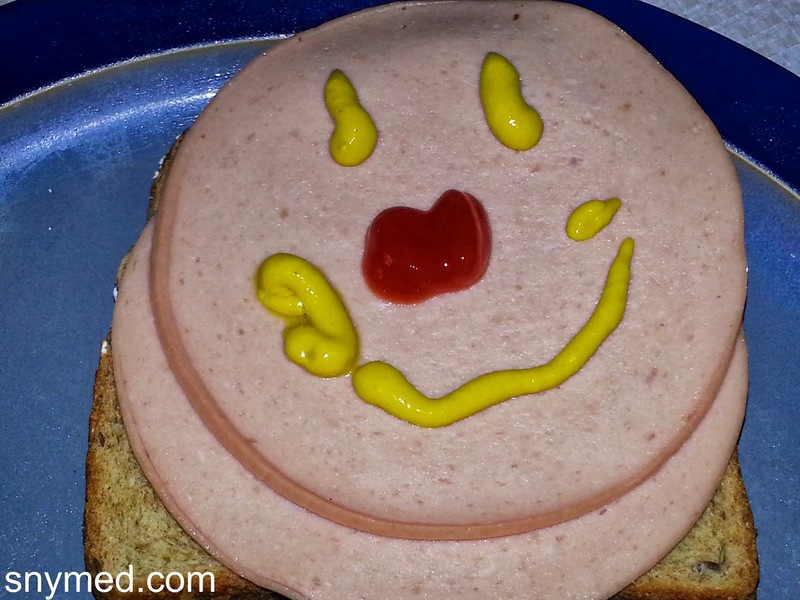 My kids haven't tried bologna, but we LOVE Schneiders in our home! We are big pepperettes fan! I love eating Schneiders bologna with my kids. Schneiders is the best. Hope to win some. Have s loved a good bologna sandwich. I LOVE THE SMILEY FACE ON THE SANDWICH!! GREAT WAY TO GET THE KIDS LOVIN' IT! I have tried the han and liked it very much. The ham stuffed tomatoes look delicious! We buy schneiders all the time. My 16 year old takes bologna sandwiches EVERY day for school. He never gets sick of it, loves it! We have tried and enjoy Schneiders products. I'd love to try the Country Naturals. We have tried and enjoy many Schneiders products. 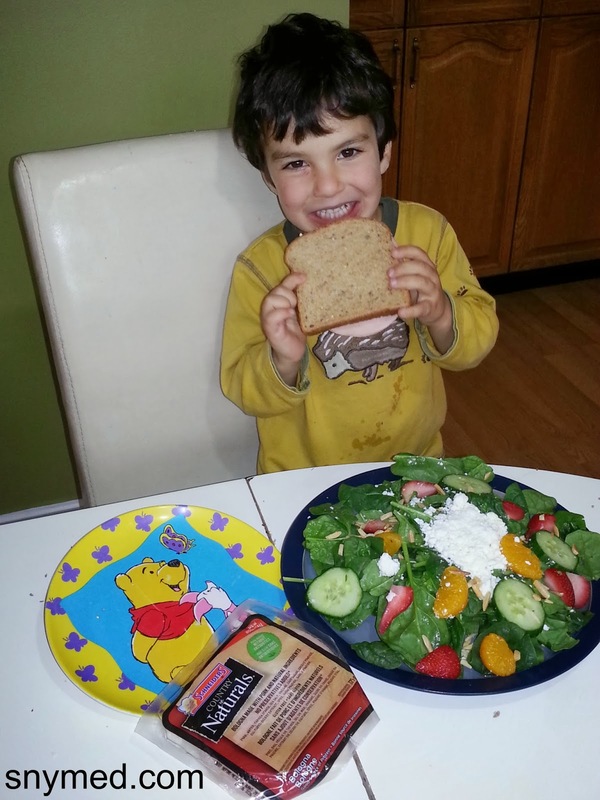 My husband and son both love the Country Naturals Bologna! I have used Schneiders products before, but never the natural ones. I haven't tried country naturals yet but I would loveeeee to!! Love Love Love the Naturals. I love bologna sandwiches. My daughter doesn't like bread but she likes to eat the bologna. I love bologna sandwiches. My daughter doesn't like bread but she likes to just eat the bologna. We have tried and have switched completely from any other brands. This is a great company and I enjoy making lunch knowing I am working with great products. Loved as a child the bologna we ate was flavorful and had mustard seeds imbedded in ti. Loved in sandwiches and pan fried with eggs for breakfast. We're big fans of Schneider's products but I have to admit that we haven't yet tried the bologna. Bologna sanwhiches and fried bologna are staples with my 7 kids, my wife and myself! We love the Schneiders Naturals meat products! Our grandkids (and grown kids!) love your sliced bologna! Bologna is a staple in our house! Our 7 kids can't get enough of it or bacon! Only bologna I buy love it !! My sister and I are regular bologna eater - unfortunately we don't buy it that often at home! We have definitely tried & loved many schneiders products! I haven't had a bologna sandwich in years although I liked them when I did. I'd be interested trying the Country Naturals version. My kids love Country Naturals Bologna, as does my husband. I personally prefer the ham :) We first tried Country Naturals at a literacy event in our community and were very impressed. I once Paved The Street In Front of Schnieders" Waterloo Plant, And The Smell was Excruciatingly Delicous...We Could'nt Wait For Lunch Break...K.P. My son is the most picky eater I've ever met. But he will eat Schneiders Country Naturels cologne sandwiches. Thank you thank you thank you!!! My kids and husband love bologna! They eat it often. I love the country Naturals, all I use are Schneiders products. My child loves balogna sandwiches & we love Schneiders garlic balogna ! My child loves balogna sandwhiches & we love Schneiders dutch treat garlic balogna ! Omg i love the country naturals bacon!! I have to cook two pkgs usually because one never makes it to the table lol!! While growing up, a fried balogna or as I always say "baloney" sandwich was a treat and it still is today,,its one of those comfort foods thats so simple yet so tasty! this is the only brand of sandwich meat i buy for the kids they love it !! Our family enjoy Schneiders products for many years. My family has enjoyed many Scheiders products over the years. We have tried the Country Naturals Bologna. My little girl Mavi loves Bologna so I feel much better about having a healthier alternative to other Bologna brands. Schneiders will always have a place in our refridgerator. Thank You Schneiders!! Schneiders and bologna just go together always! we love your products and will soon try your bologne. Never met a Schneider's product I didn't like . . . . I love eating bologna sandwiches! I Love bologna & Hot pickled veggie sandwiches! Love the gluten free products ... my son loves the ham. my sons favorite sandwich is a bologna sandwich!! I would like to try the Scheinders pepperettes..yum! My son is so fussy he does not eat bologna but he does enjoy bacon (Schneiders) sandwiches for lunch. We really enjoy Schneiders' products. We do really like the Country Naturals weiners! I feel so much better letting my kids eat those. They also love bologna, so I'd like to try that too! We love bologna sandwiches! We love the Country Naturals weiners. We also love bologna sandwiches - so I'd really like to try the Country Naturals bologna too! My kids love Bologna. As a matter of fact, its the only processed meat my 4-yr old will eat for lunch. We have tried Country Naturals before. The only meats my son eats is bologna and sausage. I'm happy to see that Schneiders has a new country naturals bologna. Will definitely buy. We love the cheddar saussage from shneiders but will definetly try a bologna sandwich of the same brand! call me strange, but I love FRIED bologna and extra old Cheddar. This combination is the bomb! Sometimes I have fried bologna TOASTED sandwich, but almost as often I will have fried bologna cut up and mixed with my omelette for breakfast. I find Country Naturals from Schneider's has a better taste for how I enjoy it! Probably my favourite way is I fold the fried bologna around the omelette and load it on a hot dog bun or a folded slice of bread, for an easy "to go" hot sandwich. my favourite way to use Schneiders Country Bologna is FRIED. sometimes it is cut up and added to an omelette with old cheddar. Then I fold it into another slice rolled up and add it to a folded slice of bread or hot dog bun for the best "on the go" sandwich. Rolled up keeps the egg all together and stops the melted cheese from making the bun soggy before it gets devoured. YUM! Your Natural products...from fresh to frozen are all that are in our household. We have tried EVERY frozen chicken burger on the market...Schneiders' wins hands down and we buy no other now! my daughter loves bologna sandwhiches. A girl atter her mothers heart! I have tried Schneiders products and enjoy them! 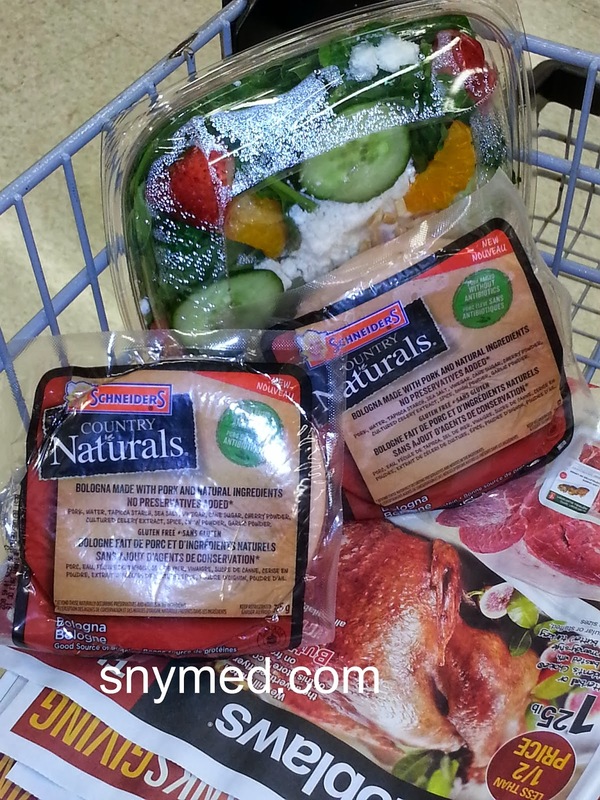 I've tried multiple Schneiders products and enjoyed them! Looking forward to trying the Naturals Black Forest Ham i just bought! I love bologna sandwiches too. I've tried a few different Schneiders products, and am looking forward to trying the Naturals Black Forest Ham I just bought. But I love bologna, and would love to try it too! My kids like bologna, although we don't buy it too often. I love eating Schneiders bologna with my kids. Would love to try Country Naturals Bologna. Love other Schneiders products! Love Schneiders Country Naturals Products! Followed on Google + under Melinda L.
I have tried Schneiders products and looking forward to trying more if I win. Really like this brand. Always good quality. I have always loved Schneiders products. I was brought up eating Schneiders Steakettes. Love them, but cant get them anywhere. Same is true for the Schneiders skillet strips. Tried lots of Schneiders products and so far I like what I've tried. The Country Naturals Salami is great. The Country Naturals Salami is good. Schneiders is one of my favorite products. I love fried bologna sandwiches. I have never given it to my son. I'll have to next time!!! So good. Followed Google + under Melinda L.
I don't like bologna but my children and grandchildren have all loved it. I'd like to try the Country Naturals Wieners. Love Natural Deli...Be is Schneider Naturals or Country Naturals. Knowing there is no preservatives hurting my digestive system and metabolism. my kids love balogne sandwiches! I'm not a big bologna fan, but my kids and husband can't get enough of it! I would like to try the Country Naturals Hot Dogs and as they say "just the good stuff." I like hot dogs as long as I am successful at not thinking about the ingredients that end with the word "parts."